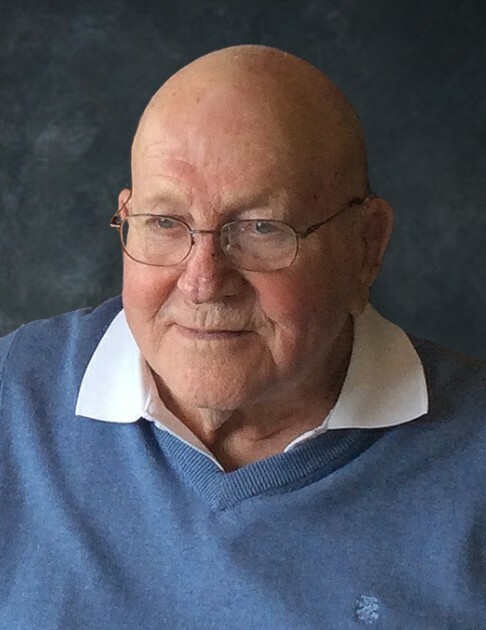 Donald died Wednesday, February 14, 2018, at the Albert Lea Good Samaritan Home. He was 90 years of age. Donald was born February 26, 1927 in Albert Lea, MN, the son of Arthur and Blanche (Thompson) Drommerhausen. He went to Albert Lea High School and then joined the Navy. On October 30, 1949, he was united in marriage to Lois Evenson at First Lutheran Church in Albert Lea. Donald was employed by Wilson Foods/Farmstead as a truck driver. Wherever he went he really enjoyed meeting and getting to know people. He was an active member of First Lutheran Church. He enjoyed sports and socializing with his friends, and the time he spent with his children and grandchildren. Don loved sharing a bag of candy with his many visitors and all of his wonderful caregivers. Donald is survived by sons Donn and his wife Debbie of Stillwater, MN, Terry and his wife Valerie of New Prague, MN, and David and his wife Julie of Albert Lea, MN. There are five grandchildren: Mark (Michele) Drommerhausen of Stillwater, MN, Scott (Julie) Drommerhausen of Lake Elmo, MN, Emily (Jaret) Sievers of Sioux Falls, SD, Elizabeth (Phillip) Genskow of Fridley, MN, and Eric (Laurén Dordal) Drommerhausen of Maplewood, MN. Great grandchildren include: Cole, Connor, and Charlie Drommerhausen, Jana and Lia Sievers, and Evan, Aaron and Grace Parker. He is survived by brother-in-law Morris (Daphne) Evenson, sister-in-law Delphine Drommerhausen and numerous nieces and nephews. Donald was preceded in death by his wife Lois, his parents, brother Dale Drommerhausen, sisters Beverly (Martin) Oleson, Priscilla (Roland) Dulitz, and great grandson Cameron Genskow. The family is very grateful for the wonderful caring staff at Good Samaritan. Memorials preferred to Good Samaritan Society in Albert Lea, MN.